Pakistan is a Cricket crazy nation whose people love this sport even though that their national sport is Hockey not Cricket. In Pakistan the Cricketers are the biggest Celebrities not Actors or people of other fields. People of Pakistan wants their team to perform well and bring joy for them in the crises from which country is going through. Pakistan Cricket has seen lot of scandals and crises in recent 2,3 years but now it seems that Pakistani Cricket is improving with time. New PCB Chief Zaka Ashraf has shown good performance. Many new youngsters has came in the team and shown their talent. Recently Pakistan has defeated Australia in T20 series before going in to T20 World Cup 2012 starting in Sri Lanka from 18th September. Pakistan has a balanced side however they have shortage of fast bowlers. Pakistan's spinners are in their best form. Openers are also performing well. 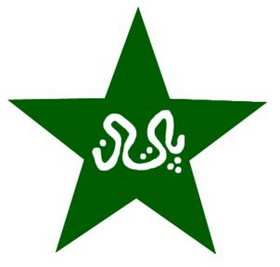 So we can say that Pakistan has good chance in T20 World Cup 2012. they will have to play with good planning and unity. Saeed Ajmal World's No. 1 Spinner will be the key for Pakistan in T20 WC. Lets all pray for the win of our team in T20 World Cup 2012.